Good News!!! The new Kamlan 28mm F/1.4 APS-C Large Aperture Manual Focus Lens is now first in stock and shipping at Amazon US. 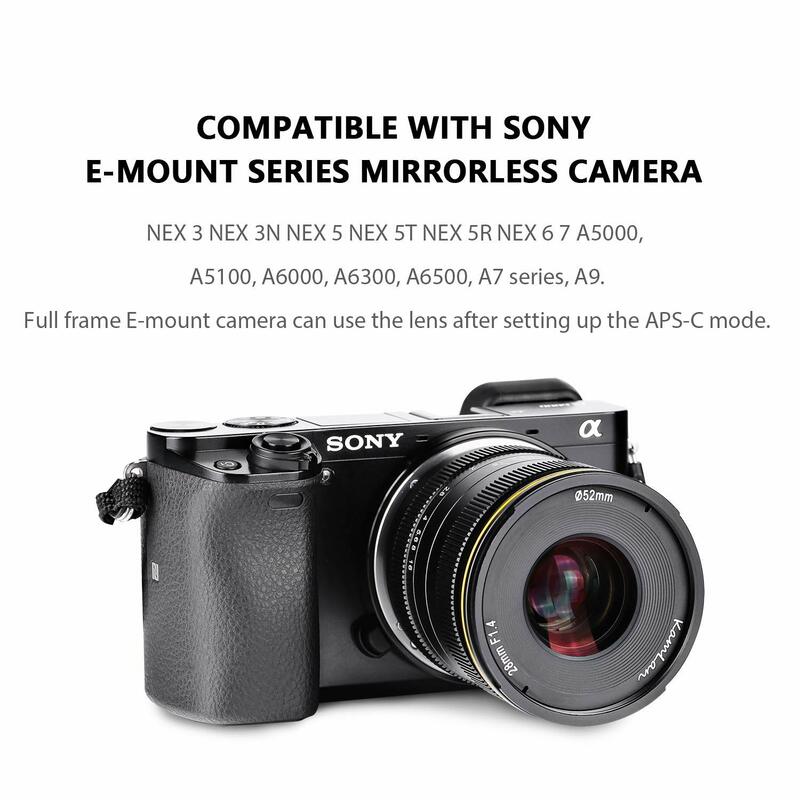 It is available for Sony E, Canon EOS M, MFT and Fujifilm X mounts. Boost Your Bokeh: The lens sports with F1.4 super large aperture and 11-blade circular aperture iris, you can easily separate your subject from the background and generate a soft & well-rounded blur effect. 0.15x magnification is very useful and practical for small object, when you shoot in a short distance, subject’s background will be further blur away and you get reasonable sharpness in the meantime. Natural Color Rendition: Kamlan 28mm f/1.4 performs a high degree of color accuracy and richness, especially the skin tone. It does not introduce too much color cast to images but instead delivers a natural, accurate color rendition even wide open, it will be a great benefit for portrait and video shooters. Pleasing Manual Focus: Shooting in a fully manual way with Kamlan 28mm F/1.4 is not difficult but pleasing and interesting. Both aperture and focus ring control is incredibly smooth and perfectly damped. After some quick practice, you can easily find your focus point and control the light transmission precisely.